Facebook has been around for almost eight years now. Over those years, it has amassed more than 900 million users under its blue banner, which is a great achievement in itself, not to mention the impact it has had on people's life, especially teenagers. However, as a result of some developments, recent or otherwise, people have been trying to limit, or cut off Facebook altogether. Personally, I can think of many reasons why they'd want to do this. But in any case, if you're one of these people, then you might want to preserve some of your most important information before saying goodbye to Facebook. Even after quitting Facebook, you can still use some of the features it provides, so you wouldn't really feel left out. 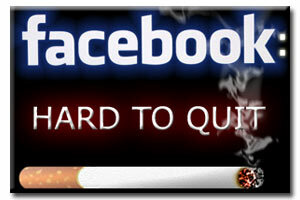 Why would you want to quit Facebook? As I said, recently, quite a few people have been either deleting or deactivating their Facebook accounts. Perhaps Google+ is to blame. But on a broader spectrum, Facebook itself is responsible for most of it. First, of course, is the enormous waste of time. Facebook is a void where no matter how much time you put, nothing productive is gonna come out, nor will that wasted time come back. Users might end up on Facebook for hours, looking through statuses, playing games, sharing funny images, and so on. Then, of course, is the privacy issue. People get hacked every day, or get phished for sensitive information they do not want to divulge. Contact information is being leaked and people are being spammed. Photos are edited and spread, and scandals are being made. There's really no limit to what these hackers can do. We recently wrote a post on how to protect your privacy on Facebook. You can take steps to ensure your privacy, but there's never a 100% guarantee. Hackers always seem to be one step ahead of security engineers. So for some people who don't use Facebook very much, it might be a good idea to step off altogether. There's also the competitive attitude associated with Facebook use. Users are competing with others, and comparing each other, and hence developing complexes. Rude posts and images are not only being liked, but also being spread, which is something one wouldn't do in real life. All of this could be contributing towards psychological instability. As Bertrand Russel says, if you can't provide an outlet to your emotions, they'll make you all the more weaker. And you definitely can't express your emotions in front of a computer screen. The bottom line is, Facebook has lost a certain of its charm. And since I've been using Facebook for around 7 years now, I can safely say that. Anyhow, you get the point. Here are some things you could do to preserve your information before logging off for good. Android and iOS smartphones have apps that let you sync your Facebook contacts with your smartphone. iOS has SmartSync, while Android has AddressBook. These will fetch contact information from your Facebook friends, and add them to your phone book. Contact information include email addresses, phones numbers, home addresses (if available) etc. You get to choose which friends you want to Sync, and what information you want to sync. This is a really handy way of staying in touch with your friends. You can also preserve birth day information for your friends. If you go over to your Facebook Events page, you will see a magnifying glass icon. Click on Birthdays, and it will appear again. Clicking on that will give you an option to export birthdays in a variety of formats compatible with major scheduling programs. For organizing events, you don't necessarily need to use Facebook. There are other plenty of services that will create events for you. Once such is Doodle, while another is Evite. You can simply fill out the details for an event, and these services will send out emails to your friends, to which they can RSVP easily. This way, you can keep your events private. And sending out emails make them feel more personal and connected to you. Facebook does not allow you to transfer your photos to another site directly. But there are other indirect ways. First of all, when you back up your profile as we mentioned above, your photos will be backed up as well. But if you want to move your photos to another site, you will have to do that manually. You can, however, transfer them easily to Google's photo sharing site, Picassa. For this, you'll need a Google Chrome extension, Move Your Photos. This allows you to see all your Facebook photos as thumbnails, which you can sort or move over to Picassa. That's it for the tips. If you have any questions, let us know in the comments below, or follow us Google+ and feel free to interact!